This tutorial is for educational purposes only and nothing more than a proof / representation of concept. The Non-Technical Technical Support or any of its sources is not responsible should your Cherry Mobile Flare S4's situation worsen. Further, this concept / procedure might work on other Android phone brands. Try at your own risk. Before going any further, please keep in mind that this procedure can only repair a soft-bricked Cherry Mobile Flare S4 phone. When we say "soft-bricked", we refer to a phone that is no longer powering back ON when you use its power button, or stuck on some kind of boot up screen but is still detected by any PC. Always keep in mind that as long as your Android device is detected by your PC, you still might be able to fix it in one way or another. If not now, probably at one point in time. The keyword here is "as long as your unit is still detected by your PC". Should contain 35 files and 3 folders; codecs (contained 4 files), imageformats (contained 5 files), and sqldrivers (contain 1 file). This procedure is not required but I will still place it in this TUT(orial). Since I tested this using Microsoft Windows 10 64-bit edition and it worked without me getting any drivers for my kiddo's Cherry Mobile Flare S4, I am unable to vouch for previous Microsoft Windows versions. 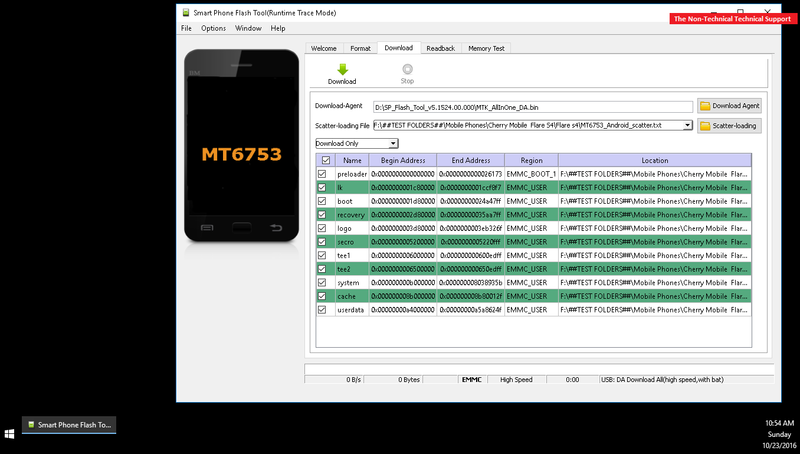 You may or may not need to get third party drivers - just Google Cherry Mobile ADB drivers if the good old plug and play will not work for you. The whole logic would still be the same. Click on the START button and hold the any one of the SHIFT keys. Click on RESTART while holding a SHIFT key. Then choose the "Advanced options". From the "Advanced options", choose "Startup Settings" then click the "Restart" button that will appear. Choose the 7th option "Enable driver signature enforcement", by pressing the 7 (seven) key on your keyboard. Let Windows 10 load. Once done, it show allow you to install unsigned drivers. For other versions of Windows, you can easily Google credible information on how to perform this in Windows 7, or Windows 8. 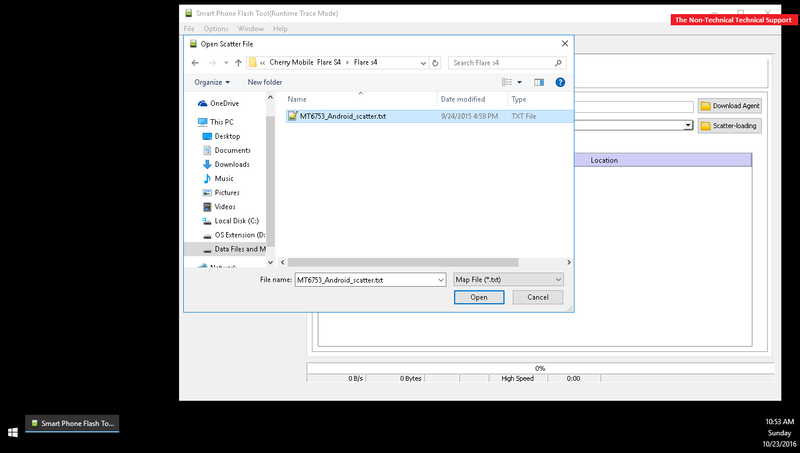 Unzip the "Cherry Mobile Flare S4.7z" and you should get 3 folders: (1) database, (2) Flare s4, and (3) SP_Flash_Tool_v5.1524.00.000. Make sure your Cherry Mobile Flare S4 has at least 80% battery charge. Go to "SP_Flash_Tool_v5.1524.00.000" and launch the "flash_tool.exe" as administrator. Next step is to load the scatter file. Click on the "Scatter-loading" button on the upper right portion. This should open a popup where you can browse your folders. 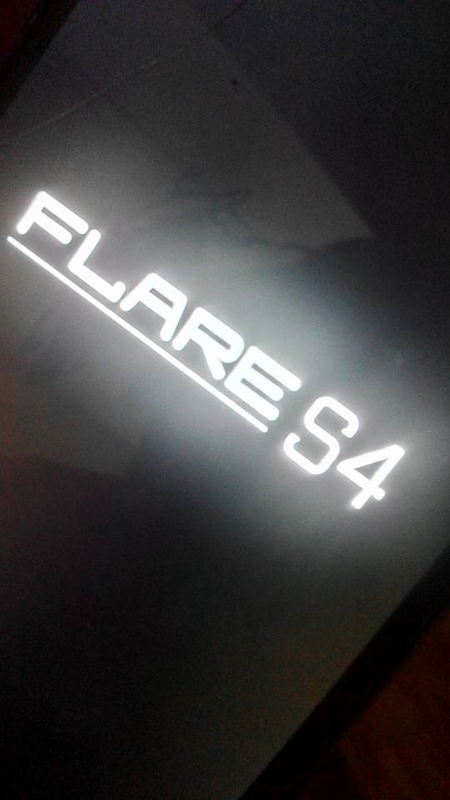 From this popup you need to look for / open the "Flare s4" folder and then look for the text file called "MT6753_Android_scatter.txt" and click on the "Open" button. This should populate the Download interface of your Smart Phone Flash Tool with the correct files for your Cherry Mobile Flare S4. 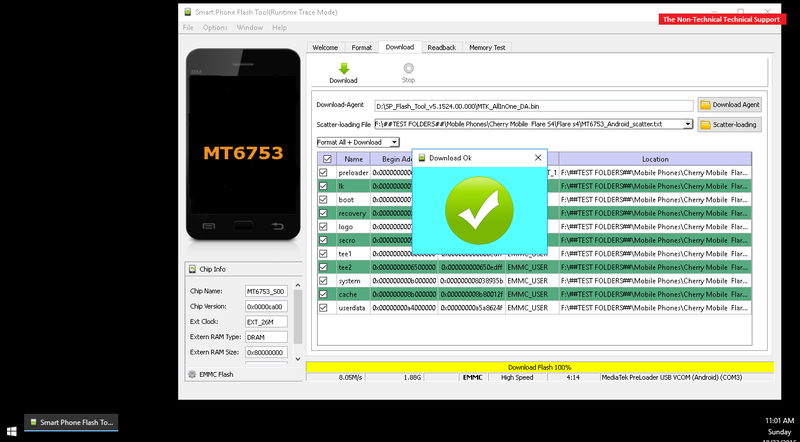 Set your Smart Phone Flash Tool into "Format All + Download". Connect you soft-bricked Cherry Mobile Flare S4 to your computer. Make sure you are using a working USB port along with a USB cable that is not defective. The moment your Smart Phone Flash Tool detects your Cherry Mobile Flare S4, its progress bar on the bottom of its GUI should start moving. Just let your Smart Phone Flash Tool do what it needs to do. You will know if the whole procedure has been completed successfully once you see the "Download Ok" popup box. From here you may just disconnect your Cherry Mobile Flare S4 from you computer. Power your Cherry Mobile Flare S4 ON and wait for its setup screen. Enjoy. I am no longer sure where I got my Smart Phone Flash Tool copy. It's been a while when I got them. Tested on Microsoft Windows 10 64-bit, and my kiddo's Cherry Mobile Flare S4. pano po kapag ganyan ung lumalabas? Mobile phone upgrade have gained boundless popularity amongst the UK population. This is an exclusive offer specially meant for the contract deal users. Benefits galore for mobile upgrades act as a panacea for those who avail contract phone deals.